Property owners may not pay much mind to the performance of electrical connections or appliances within their home until it is too late. While it may seem a bother to have a licensed Perth electrician pay a visit to your property when things seem to be working fine, having regular electrical inspections may be more important than you think. Knowing when it’s time to call your local electrician may seem hazy, as it can be difficult for home and business owners to identify some potential warning signs indicating larger issues, but experts agree that it is better to be safe than sorry when it comes to ensuring the good condition of your property’s electrical system. An electrical safety inspection is a procedure that is ideally carried out by a licensed and experienced electrician and involves thoroughly assessing the electrical wiring, connections, and appliances on your property. This procedure serves as the most effective way to keep your electrical wiring and appliances in optimal condition, as well as prevent any minor problems that may be occurring from becoming worse. Comprehensive electrical inspections can involve: testing smoke alarms, checking safety switches and outlets, taking a look at your property’s power box, checking your property for any exposed wires, assessing the overall function of your electrical service, and determining whether there are any other less-obvious electrical hazards on your property. It also can include any other inspection procedures deemed relevant by the professional inspecting your home. Taking precautionary measures to keep your property and its occupants safe can offer numerous benefits, including those both material and economical. By having regular electrical inspections done, an electrician will be able to identify any minor problems before they turn into major issues. Having these minor issues fixed earlier rather than later can help save you money down the line. Having your electrical wiring and connections adequately maintained can also ensure that everything is functioning optimally, which can help you evade higher costs associated with faulty electrical systems. Inspections can play an important role in ensuring your property’s safety after incidents such as power surges have occurred following a storm or other similar event. Power surges can cause short circuits and potentially cause damage to your electrical appliances. Having electrical appliances on your property inspected by a licensed electrician can help you to identify any damaged appliances and avoid experiencing unexpected electrical shocks. Instead of ignoring electrical problems, or attempting to fix any minor or major electrical issues on your own, having a certified electrician assess your property gives you the best chance at keeping everything in check, so you don’t find yourself in an emergency electrical situation later on. In an effort to anticipate the needs of maintaining the optimal function of electrical wiring and connections on your property, contact a skilled electrician. 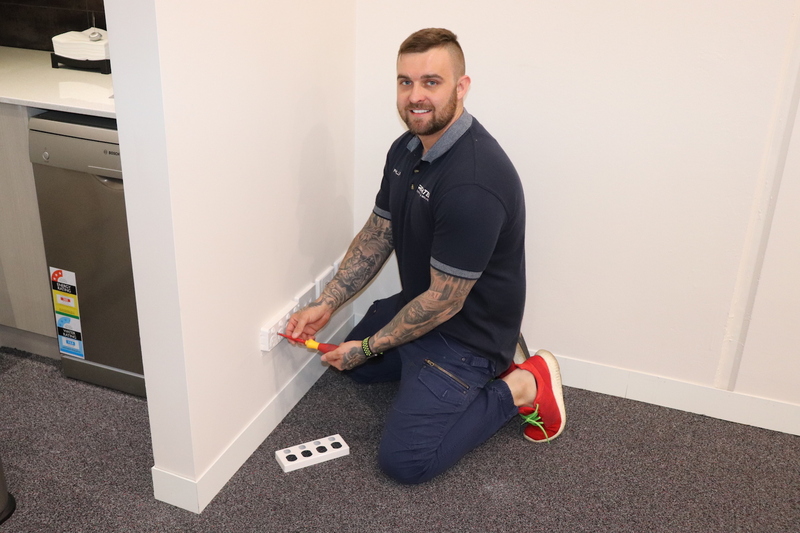 Get in touch with a Richtek Electrical & Air Solutions team member, and we can help you set up an appointment to have a licensed electrician perform an electrical inspection on your property. Call 08 9375 3926 to set up an electrical inspection for your home or commercial property today. Previous PostPrevious How Often Does Your Office Need An Inspection?